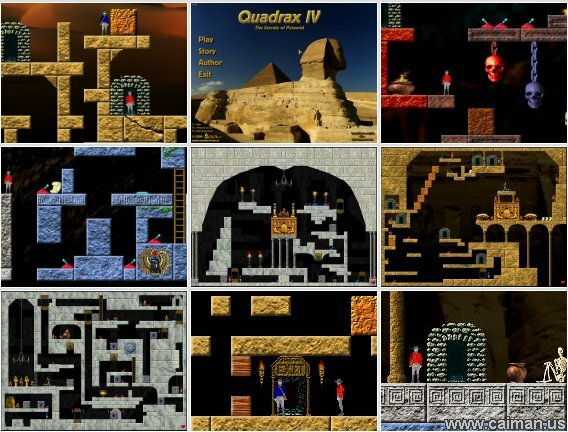 Caiman free games: Quadrax 4 by Jozef Kreutzer (Alfaline). This must be world's best puzzle game. 90 hard levels. 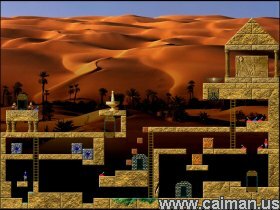 The object is to lead both men by switching switches, moving stone blocks, opening doors, moving lifts to the exit. After every solved level you will get a password. Write it down!! You will need it when starting the game again. Also don't forget that the passwords are unique for your computer, so they will not work on other computers! 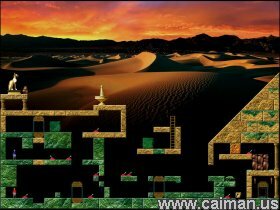 Editor: When completed all 90 levels you will get a password to start the level editor. F1 = Show the name of a level and a help if found.